Here at Circle + Bloom, we consider the entire month of April to be dedicated to Infertility Awareness (the official National Infertility Awareness Week is April 21-27). To honor this important issue, we’re featuring the stories of two women who have bravely and openly shared their own journeys with infertility – both in their own public blogs, and here with us and our Circle+Bloom community. In fact, both of these women were featured in our blog series, What Doctors Don’t Tell You About IVF. Today, we’re talking with Stefanie Miller. Stefanie’s most recent post on her popular infertility blog, Making a Miller, is titled “Transferversary.” She wrote it in on the one-year anniversary of her IVF transfer, which led to the birth of her now five-month-old daughter, Mia. Today, Stefanie is considered a success story, but she knows all too well the hardships and pain of infertility. Before their introduction to the world of infertility, Stefanie and her husband Dale had no reason to expect they would have difficulty conceiving children. While Stefanie had been born premature, she checked in with her OB/GYN to ask whether that could affect her own conception and if there were anything she should do to optimize her fertility. But everything seemed just fine. “We got married in July 2011 and, while we knew we wanted kids, we wanted some time together first,” said Stefanie. Five years into their marriage, she went off birth control and the couple started trying to get pregnant. The results of Stefanie’s testing showed low levels of AMH (Anti-Mullerian Hormone) for her age, which can indicate a decline in the ovaries’ ability to produce good-quality eggs. However, the doctor wasn’t concerned. Stefanie and her husband visited a few different REs before choosing the right fit. As we spoke, Stefanie explained to me that IVF had always felt like a looming mountain in the distance. 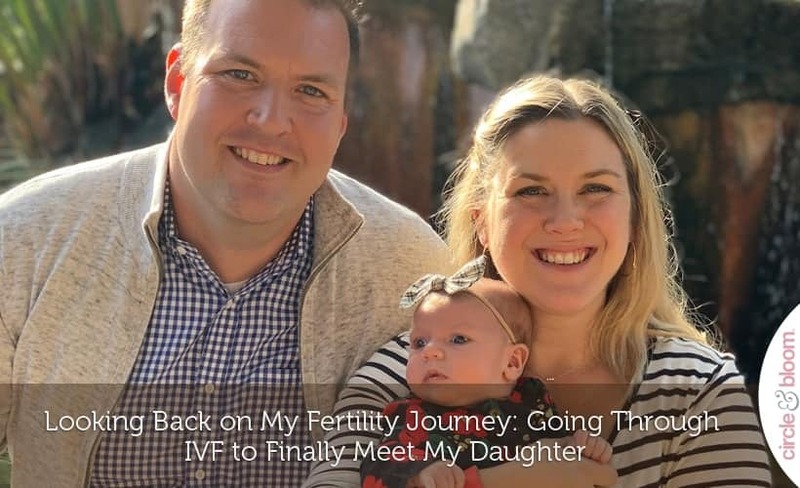 As frustrated as she was, a year into her fertility journey, she didn’t feel like IVF would be part of her path. Until it was. In October 2017, Stefanie underwent her first cycle of IVF. Retrieval was a success, with 14 eggs retrieved. At the end of the day, five embryos made it to blastocyst and passed the genetic screening. Following a full, unmedicated cycle, she went in for the Frozen Embryo Transfer, which was a resounding success. Today, Stefanie’s daughter Mia is five months old. 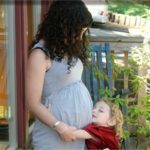 Throughout her pregnancy, Stefanie continued sharing her story on her blog, even though she struggled a bit with what she calls, “infertile guilt”. Eventually, she realized that it was important for her to continue to share her truth: the good, the bad, and the “sometimes really ugly”. Early on, friends knew that Stefanie and Dale were trying to get pregnant and would ask questions about how it was going. Stefanie’s friends were getting pregnant one by one, and they were starting to open up about what they were going through with fertility. “Don’t be afraid to open up to other people. Most of the time, I received an incredible response from anyone I opened up to. For some people it’s not right to share, but this worked for me. And don’t doubt yourself; trust your gut. If you think something is going on, it’s can’t hurt to get tested. You may find out that everything is just fine, but if there is something wrong, you can save yourself the time. Thank you, Stefanie, for sharing your personal story with us. You can read more about Stefanie and her fertility journey on Making A Miller. Our Circle + Bloom guided meditation programs can support and help you during your fertility journey. Find the program that best fits your needs, such as the IVF/IUI Program, Natural Fertility Program, or the PCOS Fertility Program.